Update #4: Highbrow Stuff and…WE HAVE A STARBOARD ENGINE! After Tuesday’s highly salacious post about explosions, it’s time to raise the register of this blog. This isn’t The Daily Mail, after all! So, today, we’re turning our highly cultivated minds to subjects of a more refined nature, namely, literature, the fine arts, and our starboard engine. 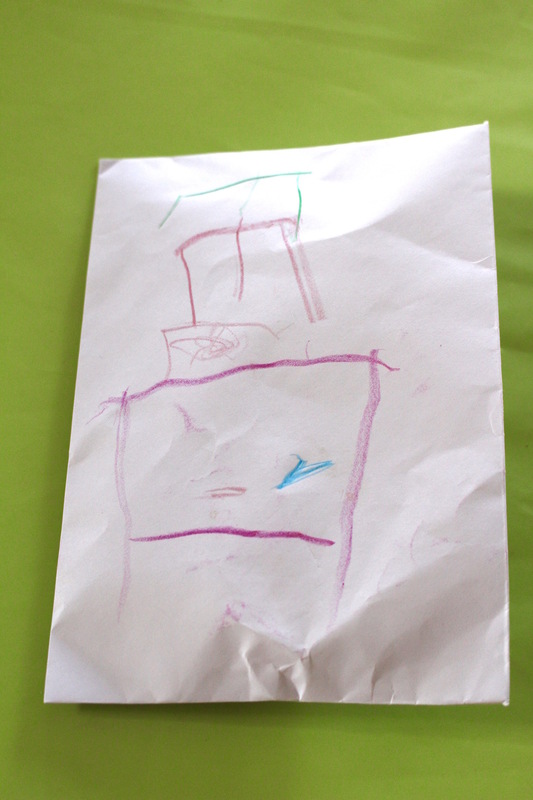 My little cousins Élodie and Lydie gave me a very beautiful drawing of Pas de Deux for my birthday. You can see it at the top of the page, along with a picture of the adorable artiste (Élodie) and artiste in training (Lydie) below. Merci les filles pour le beau cadeau! This week I also finally received my birthday presents from Benn! 10 days late, but it’s not his fault – he mailed it ages ago, and the postal service just took its time, as usual. Since one of the presents is boat related, I feel justified in sharing it with you. Its size and weight allow its use aboard. This certification means that I definitely won’t get in trouble for bringing this book aboard, although I’m not sure the same can be said for the two wonderful cookbooks my parents bought me: The Boat Galley Cookbook, by Carolyn Shearlock and Jan Irons, and The Cruising Chef Cookbook, by Michael Greenwald. Both are full of advice on provisioning and galley-friendly recipes made with ingredients with a long shelf life. I can’t wait to try some of these out and post the results. Thanks, Mom and Dad! If you are wondering whether or not this post is just an excuse to talk about my boat-related birthday presents, then all I have to say to you is… yes, actually, it is. In other news, Benn’s started up the starboard engine for the first time, and it sounds great! You can see the video here. The Volvo engines are original to the boat, and even though the surveyor said they were “obsolete” (I’ve never really heard of a diesel engine that was obsolete, but never mind), they still seem to be in perfect working order. Well, the starboard one is doing fine. The port engine is firing on only one cylinder, but at least we’re 75% of the way there. More about the engines later, but in the meantime, feel free to leave a comment below on any subject, highbrow or otherwise. We’ve enjoyed reading your comments a lot and look forward to more! Previous Pas de Deux Update #3: Terrible explosions! Deadly gasses spewing from the engine bay! Benn’s life in peril!